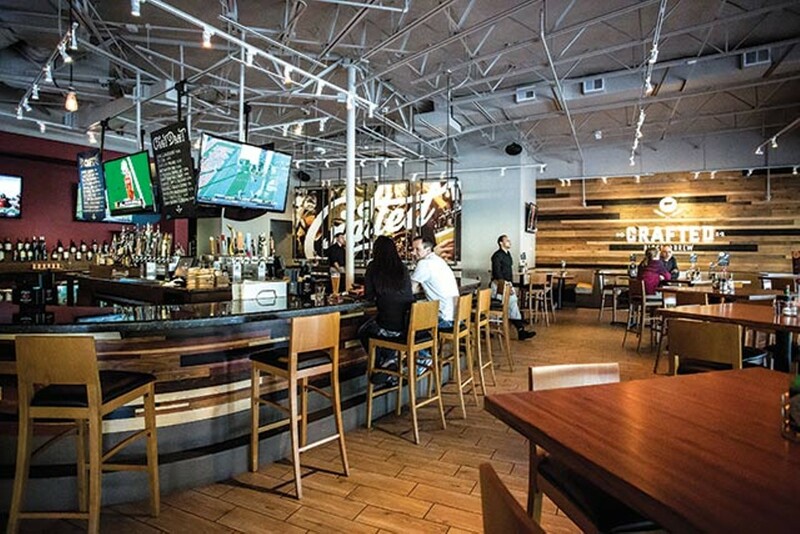 Equal parts craft beer joint, sports bar and restaurant, Crafted endeavors to be something for everyone with mixed results. The modern pub-grub fare is highlighted by a decent selection of messy burgers fashioned from a mix of short rib, brisket and chuck. The cottage pie with steak tips is also worth considering, but be wary of overdressed Cajun snapper and insipid barbecue-rubbed grilled wings. There’s a nice selection of craft brews available on tap or by the bottle.